Each of these varietals has one thing in common: their names scare people. I can assure you, however, that there is no need to be afraid of them. If you’d like to learn how to pronounce them, click here. All that aside, I am currently processing a bunch of thoughts on why Greek white wines are not as popular on the international market. I will attempt to address that a bit later on – probably in my wrap-up blog on the Wines of Greece. Alas, what is done, is done. So, I shall focus on what I did learn and taste. Onwards! THE SIP: Let’s begin with Moschofilero. This white grape variety is known for its aromatics. If we could compare its looks to a well-known varietal, I would equate its grey-coloured skins with Pinot Gris. As such, the wine itself is slightly off-coloured, with a grey tint. Typically, this wine will produce bouquet and palate notes of light spices and floral perfumes. Greek vintners make dry, sparkling, or dessert wines from this grape, and the main region to produce it is Cephalonia. 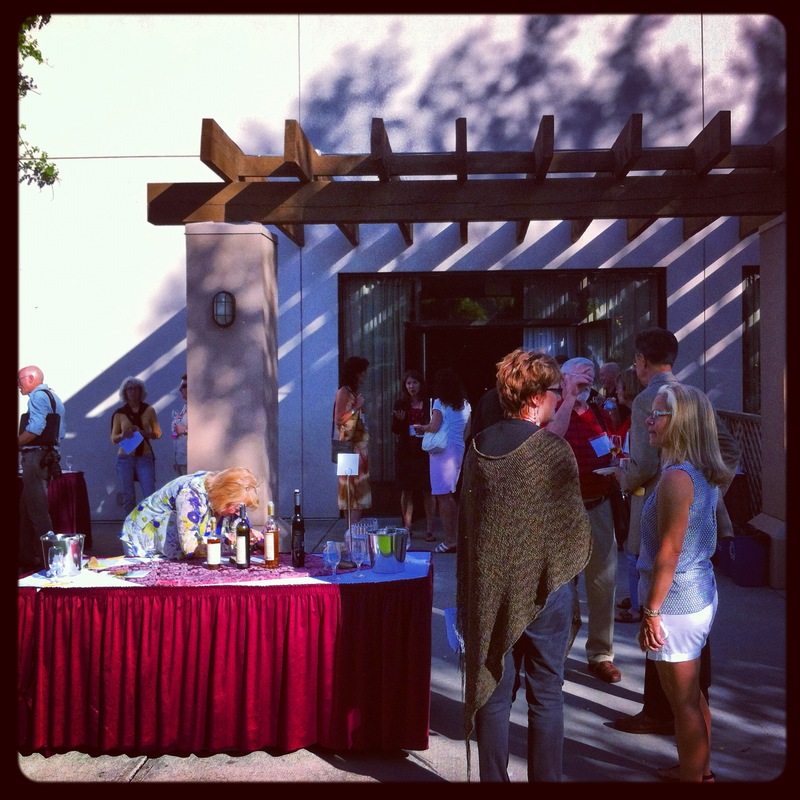 I had the pleasure of trying a number of 2012 vintages including wines from Boutari, Spiropoulos, and Semeli. 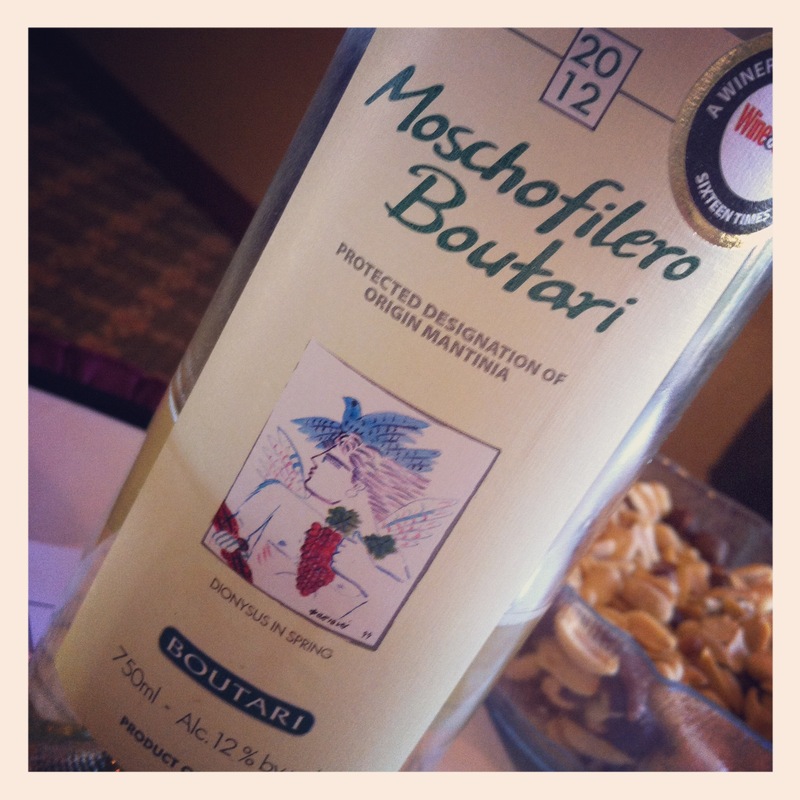 The Boutari was definitely aromatic with loads of tropical fruits (guava, light mango), citrus, and stone fruits. With 12% alcohol and a medium-dry body, this wine had surprisingly good acidic structure for a white coming out of a hot region like Greece. The Spiropoulos winery created a completely different beast. 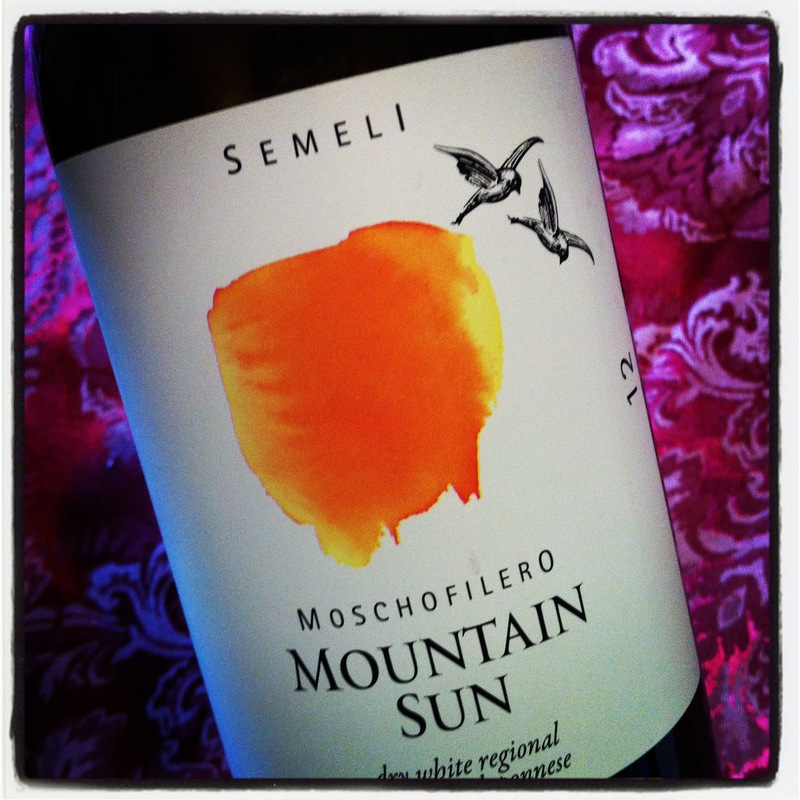 This Moschofilero-based wine was packed full of citrus notes. It smelled like vitamin C tablets to me, and boasted of chalky minerality. The acid structure, however, was not that high. 12.5%. I appreciated the dustiness of this mineral-driven wine, but the smell of ascorbic acid just didn’t toot my horn. Semeli’s “Mt. Sun White” was a blend of Moschofilero and Roditis. My initial instincts were that it smelled similar to a BC Chardonnay with lemon juice, peach, and hints of apricot. It was lower in acid (again, probably due to the climate, as high acid wines are usually the result of cooler climes), and the palate carried provocative candied floral notes. I liked it. 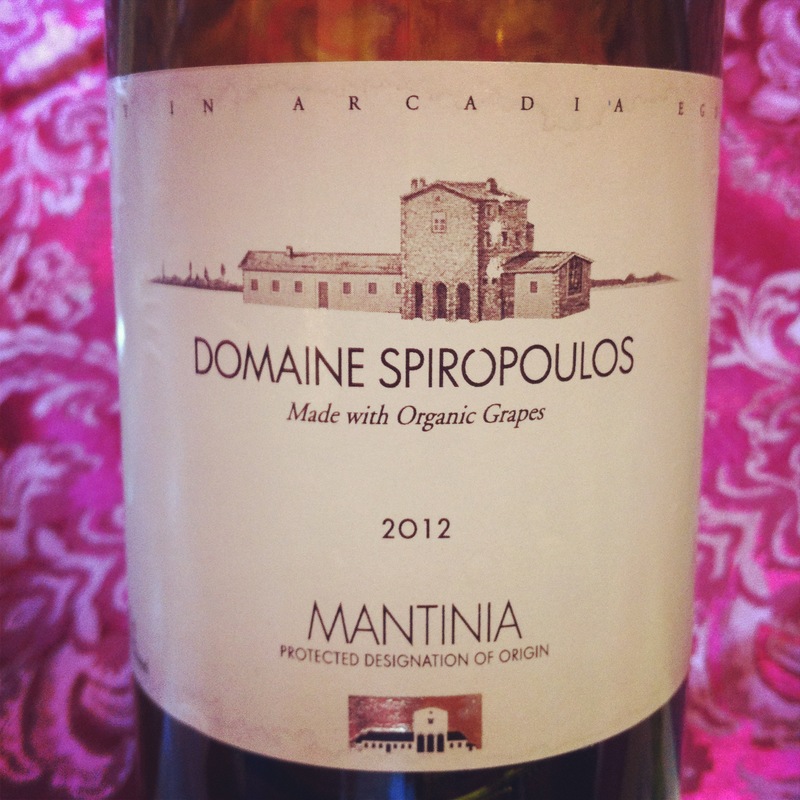 THE SIP: Originating from the western area of Greece, this varietal (which almost went extinct!) was realized by the producer Gerovassiliou to have great potential for producing distinguished wines. One of the few grapes to produce full-bodied white wines out of Greece, it typically swaggers its exotic aromatics in the faces of other white wines of Greece. The Gerovassiliou was exactly the wine available to sample at the Wine Bloggers Conference, and without repeating the multiple exclamation marks in my notebook, this wine flaunted notes of quince, lemon and lime zests, and a funky minerality. I’d try it again. The SIP: Roditis is a pink-skinned varietal that tends to have really good acid structure, but tends to ripen late. That being said, even though it ripens late, it is a prized varietal because it is able to maintain its acidity throughout the ripening process. Many varietals that ripen later have to be watched in order to maintain a balance of sugar and acid. A decrease in grape berry acid means sugars are higher, and the final wine may be unbalanced. Often blended with the Savatiano varietal, Roditis produces the best wine when yields are kept in check. Citrus flavours should be expected with this varietal that produces a pleasant aftertaste. 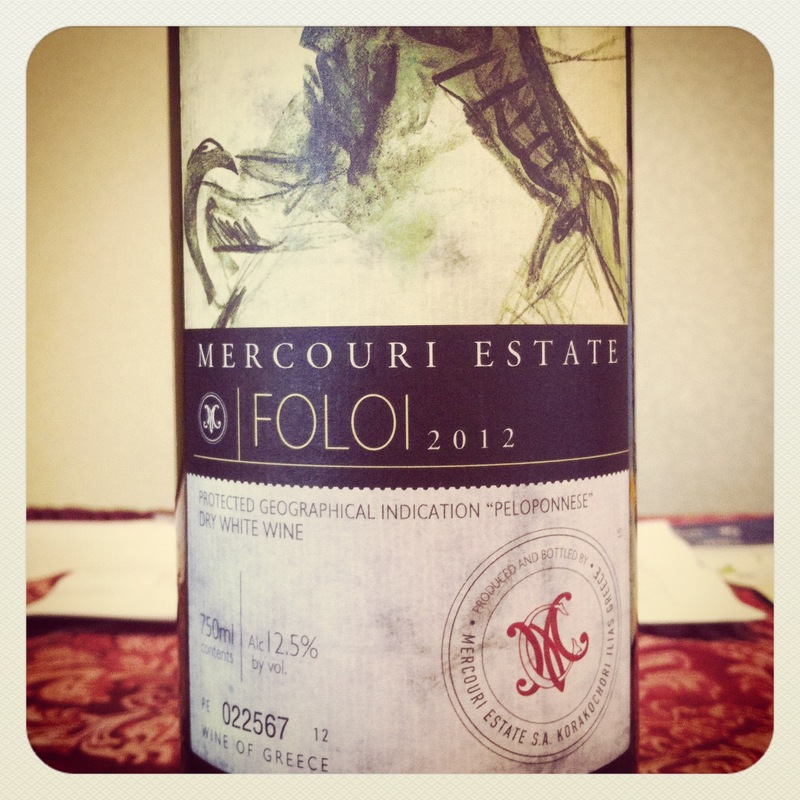 The only single varietal Roditis that I was able to sample was Mercouri Estate’s Foloi 2012. My notes boast of citrus: lemon and lime zests, minerality, and a pleasant slight prickle on the tongue. It was very light indeed, and I pictured myself in Greece, sitting on a patio eating freshly prepared seafood dishes and having a glass or two. In the final two installments, I will be examining both the red wines of Greece and their dessert wines in more detail. Happy savouring.